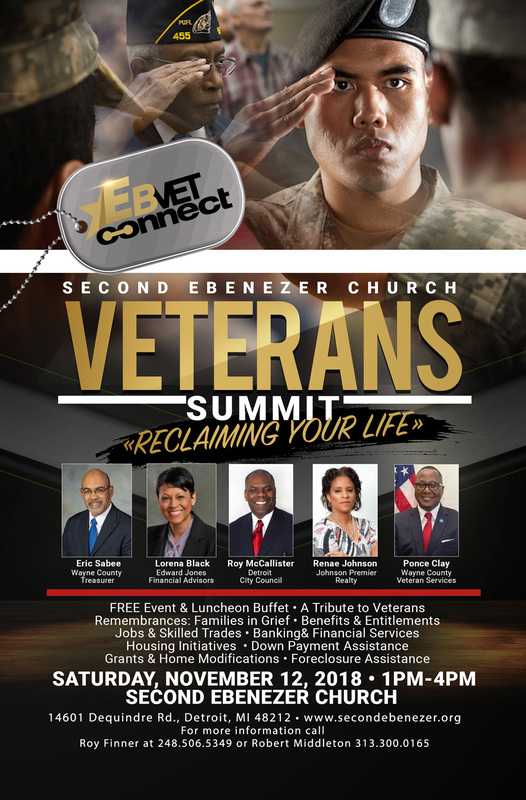 The 2018 Veterans Summit, “Reclaiming Your Life,” welcomes veterans and surviving family members from all over the Detroit metropolitan area who need assistance and support returning to civilian life. Renae Johnson, Johnson Premier Realty Co. This year’s summit will include a free buffet luncheon and a tribute of remembrance to our veterans for families in grief due to loss of a loved one in the military. Professionals will be available to discuss new programs regarding benefits and entitlements that veterans have earned as well as talk to veterans about jobs, skilled trades, real estate investing, banking programs for vets, insurance, business startup and certification, and various economic options. Counselors will also provide confidential one-on-one breakout sessions to discuss issues with moral injury, spiritual guidance, PTSD and combat trauma, mental health, substance abuse prevention and recidivism.